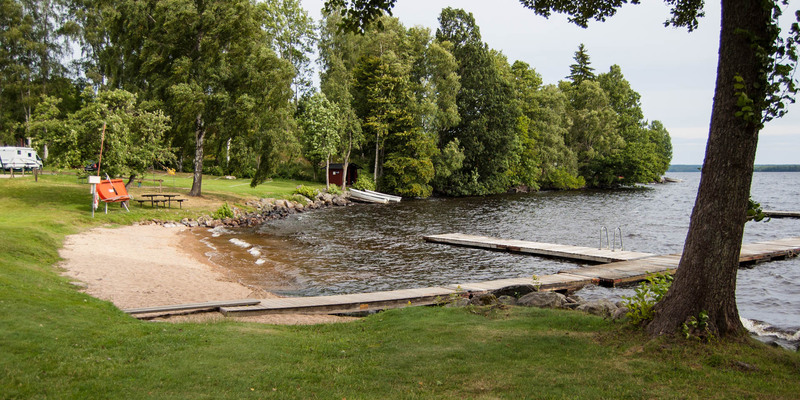 Midingsbråte Badplats is a very neat bathing spot in the small village of Midingsbråte on the southern shore of the lake Mien, almost 30 kilometers southwest of Tingsryd. The Mien is the second largest lake in the municipality Tingsryd, with a surface of almost 20 square kilometers and excellent water quality. 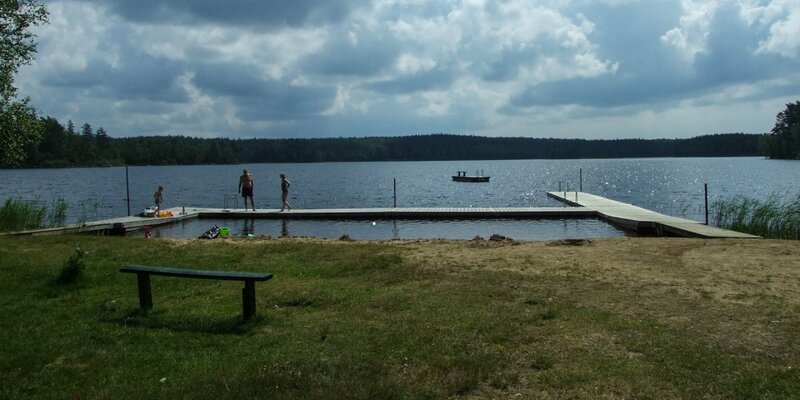 The very clear lake impresses with underwater sight of about 5 meters and is quite popular with divers. The circular shape of the lake and the enormous water depth of 42 meters are remarkable. Origin to this was a meteorite impact over 121 million years ago, which left a crater of nearly 6 kilometers in diameter. 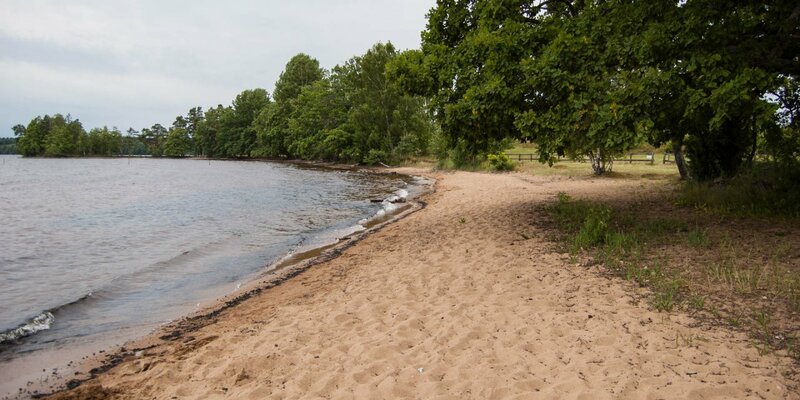 The bathing place in Midingsbråte has a clean, about 20 meters long sandy beach with a jetty and a large lawn. 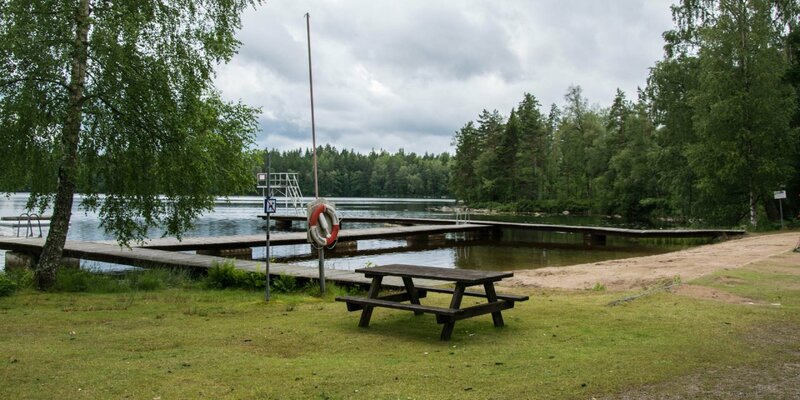 There are toilets, changing rooms, a playground, a barbecue area and in the summer season even a small kiosk with ice cream, coffee and snacks.